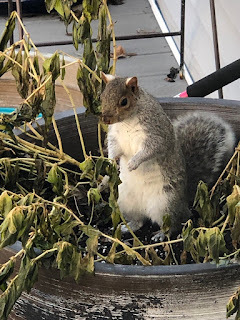 This guy has been making me crazy all winter. 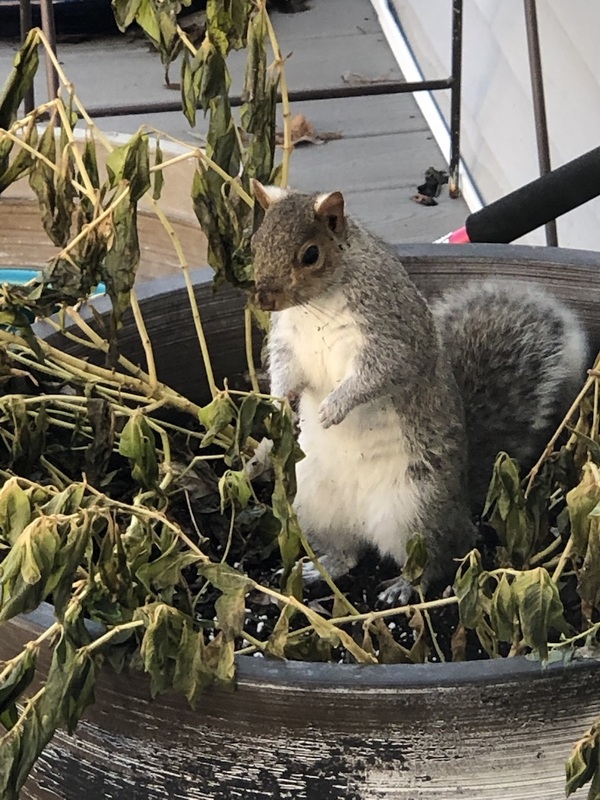 He has buried all kinds of nuts in my planters and keeps throwing dirt all over the deck. I don't think he cares.